Coral Gables is one of the oldest cities in South Florida. Stately gates, historic houses, and canopied streets are all from nearly a century ago. The city offers waterfront views, luxury shopping opportunities, swanky hotels, and lush green parks. 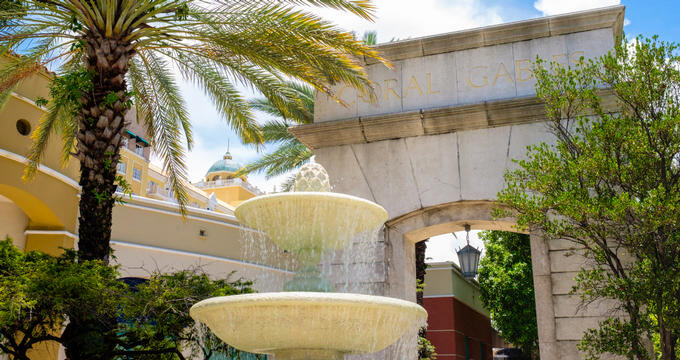 From historic Cape Florida Lighthouse to Fairchild Tropical Botanical Garden, Coral Gables offers a variety of fun attractions. Bill Baggs Cape Florida State Park is a state park that covers nearly a third of Key Biscayne Island in Miami-Dade County, Florida. 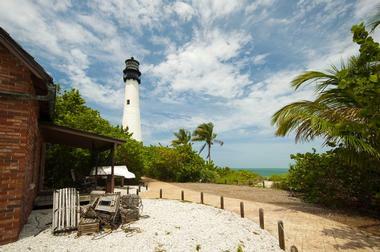 The park is home to Greater Miami’s oldest standing structure, the Cape Florida Lighthouse. Visitors to Cape Florida can enjoy everything from sunbathing on white-sand beaches to fishing from the seawall along the bay to grilling with friends or family at a pavilion. There are guided tours given twice a day Thursdays through Mondays for the Cape Florida Lighthouse, as well as the lighthouse keeper’s cottage. There are umbrellas, beach chairs, and bicycles available for rent. Visitors will enjoy breathtaking views of Biscayne Bay and the Atlantic Ocean during their trip to the park. Cape Florida Lighthouse is a lighthouse with a long-standing history that is located on the island of Key Biscayne in Miami-Dade County, Florida. 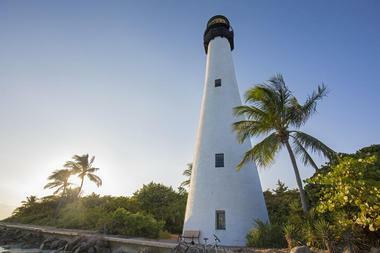 The lighthouse is situated on a part of the island that has been designated as the Bill Baggs Cape Florida State Park. The nearly two-hundred-year-old lighthouse has been partially or completely destroyed and rebuilt many times over the course of its existence. The las time being in August of 1992 when Hurricane Andrew inflicted major damage on the tower. This steady piece of Florida history can be viewed by guided tour Monday through Thursday, twice a day. Coral Gables Merrick House, also known as Merrick Manor and the Merrick House, is a large historic house that is located in Coral Gables, Florida. The house was originally built in the year of 1906 by architect Althea Fink Merrick. It was constructed for the purpose of being the family residence for George E. Merrick, the founder of Coral Gables. Since April 13th of 1973, the house has been listed on the National Register of Historic Places. Visitors can enjoy tours of this historic property two times a week. The tours are led by volunteer docents who have a plethora of knowledge regarding the property and a passion to share that knowledge with all who visit. Coral Gables Museum is a vintage, coral-rock museum complex that is located in the heart of Coral Gables, Florida. The museum is housed within the Old Police and Fire Station, and features outdoor spaces and additional galleries that were added in 2010. 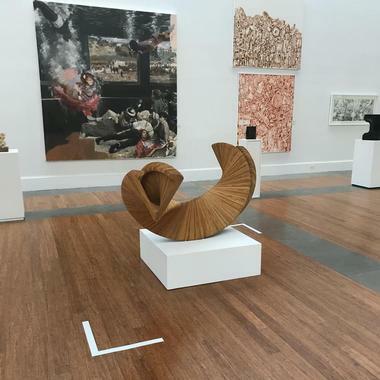 The new spaces include a courtyard just off the main lobby, a gorgeous 5000-square-foot public plaza, and the 3000-square-foot Fewell Gallery. Visitors can explore and learn about the building’s rich history by taking cellphone audio tours, viewing photography exhibits in the lobby, or schedule guided tours. Current exhibits include Coral Gables Sister Cities: Partners in Peace / On-Going, and Creating the Dream: George E. Merrick and His Vision for Coral Gables / On-Going. 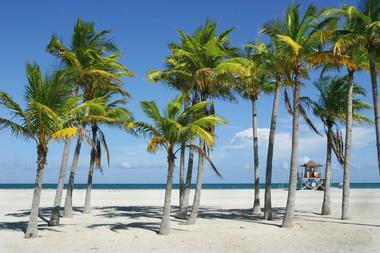 Crandon Park is a beautiful 808-acre urban park that is situated within Miami, Florida’s metropolitan area, on the north end of the island of Key Biscayne. It is connected to Florida’s mainland and the city of Miami via the Rickenbacker Causeway. With its tennis and golf facilities, pristine beaches, and unique eco-adventures, the park offers a little something for everyone. There are a wide array of leisure activities available for visitors to enjoy, such as walking, windsurfing, wakeboarding, sailing, snorkeling, paddle-boarding, kite-boarding, kayaking, canoeing, biking, and skateboarding. The park is equipped with restrooms, restaurants, picnic pavilions, cabanas, boat ramps, docks, marinas, and a nature center. Curtiss Mansion, also known as Dar-Err-Aha, MSTR Now. 2, and the Miami Springs Villas House, is a historic mansion located in Miami Springs, Florida. In 1998, funds were raised by the Curtiss Mansion, Inc. 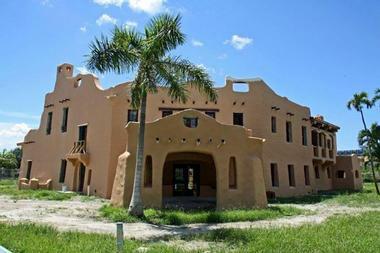 Corporation and city of Miami Springs to restore and manage the rehabilitation of Curtiss Mansion. In 2011, another contractual phase with the city and CMI continued fundraising efforts for the operation and maintenance of the mansion. Today the mansion can be reserved for corporate events, engagements, special moments, weddings, celebrations, and historic tours. The mansion is also the host of youth activities, classes, exhibits, films, lectures, performing arts presentations, and many other events. 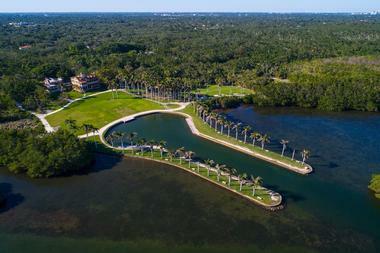 Located in Miami, Florida, the Deering Estate proudly preserves the 1920s estate of Charles Deering – the International Harvester Company’s first chairman, a philanthropist, art collector, environmentalist, early preservationist, and Chicago industrialist. Nestled along South Dade’s coast, the Deering estate is a historic site and cultural asset that is listed on the National Register of Historic Places. A main focal point of the community’s cultural memory and identity, the Deering Estate is a unique, 21st Century museum where residents and visitors can enjoy programs, signature events, and the preservation of history. Visitors will have the chance to partake in daily tours where they can hike through natural areas, tour historic homes, and examine pre-historic tools and fossils. 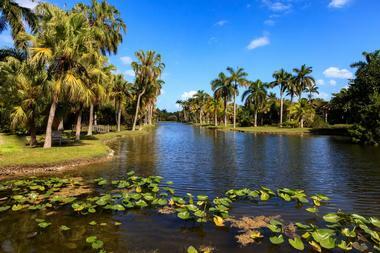 Fairchild Tropical Botanic Garden is a wonderfully picturesque, 83-acre botanic garden in Coral Gables, Florida. Fairchild is devoted to explaining, exploring, and conserving the tropical plants of the world. Fairchild is a premier, education-based garden that has been recognized internationally for its conservation efforts. With over 1,200 volunteers and 45,000 members, Fairchild plays several roles, including a learning center, laboratory, museum, and conservation facility; the garden’s biggest and most important role however, is the preservation of biodiversity. There are several fun festivals throughout the year for visitors to enjoy that include the International Chocolate Festival, International Orchid Festival, and International Mango Festival. Janette & Co. Macaron and French Pastries is a charming bakery that specializes in unique macaron flavors in Coral Gables, Florida. 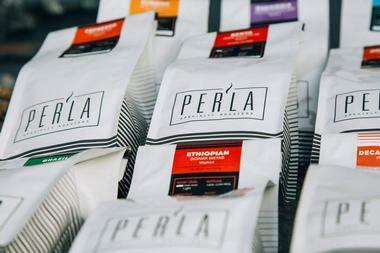 The bakery also offers a wonderful selection of brewed coffee, chocolate, and French pastries. The homemade treats produced here are as fragrant and fresh as the ones found in some of the best patisseries in France. The bakery’s macarons are quite pleasing on the eyes with their vibrant colors and mouthwatering textures. 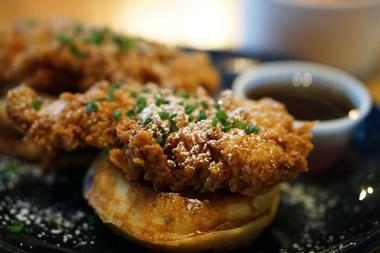 Their crispy crust, and soft, chewy fillings, coupled with intriguing flavor profiles have made them an absolute hit. 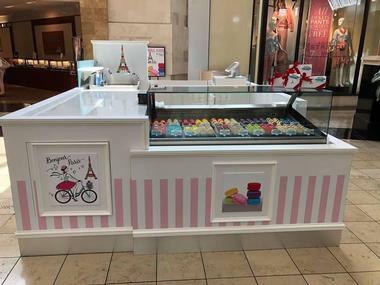 Some of the flavors include Rose Petal Cream, Coconut White Chocolate, Poppy Flower, Nutella, Honey Lavender, Hazelnut, and Black Currant. Key Biscayne is a beautiful island that is situated between the shimmering Biscayne Bay and Atlantic Ocean in Miami-Dade County, Florida. It’s the southernmost island within the barrier islands that run along Florida’s Atlantic coast line. 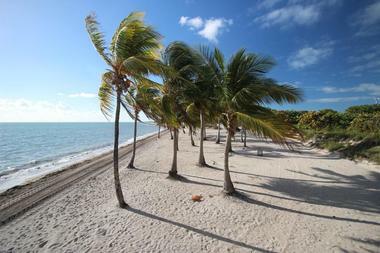 There are a number of fun and exciting attractions on the island for visitors to explore, such as the Bill Baggs Cape Florida State Park, Crandon Park, Marjory Stoneman Douglas Biscayne Nature Center, Historic Virginia Key Beach Park, and Sylvia Bennet Entertainment. There are several pristine beaches where visitors can enjoy sunbathing; there are also several water activities available that include kite-boarding, wakeboarding, wind-surfing, kayaking, paddle-boarding, and sailing. Established in 1952 and south Florida’s first art museum, Lowe Art Museum features over 19,000 objects within its massive collection. The museum originally got its start with a gift from philanthropists Emily and Joe Lowe. It is situated along the palm-tree-lined Stanford Drive in Coral Gables, Florida. 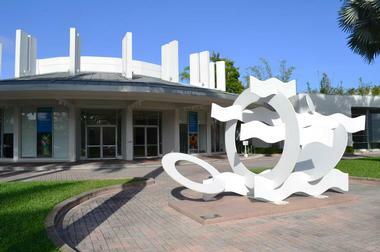 The University of Miami is responsible for the operations of the museum. Some of the museum’s current exhibitions include Yousuf Karsh: American Portraits, Giampaolo Seguso: My Page is Glass, Dialogues: Studio Glass from the Florence and Robert Werner Collection, and Hands & Earth: Six Perspectives on Japanese Contemporary Ceramics. Visitors will enjoy unique, rotating collections of art all throughout the year. Matheson Hammock Park is a gorgeous, 630-acre urban park that is located in Coral Gables, Florida. 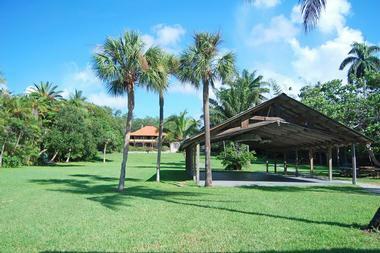 The wonderfully picturesque park borders the west and north ends of the Fairchild Tropical Botanic Garden. 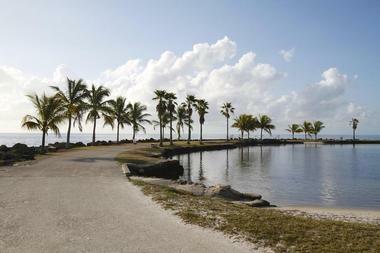 The scenic park also has a unique feature – an atoll pool that is man made and naturally flushed by the tidal action of Biscayne Bay. Matheson has a snack bar, a restaurant housed within a coral rock building, a full-service marina, nature trails, and pavilions. The park also contains a power boat and sailing school, picnic tables, pristine beaches, a fishing pier, wet slips, and restrooms. There are a variety of fun activities for visitors to enjoy, such as kite boarding, fishing, sailing, and hiking. Situated on 38 acres, Miami Seaquarium is an oceanarium that is located on the beautiful island of Virginia Key, in Biscayne Bay, Miami, Florida. 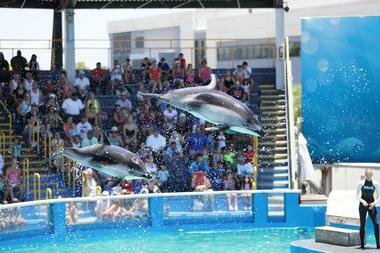 Founded in 1955, Miami Seaquarium is among the oldest oceanariums still remaining in the United States. The aquarium showcases several world-class exhibits with sea life, such as rays, penguins, sea turtles, and manatees. The marine mammal shows that feature sea lions and dolphins are a delight for all ages. Visitors can learn about marine animal care and wildlife rescue at the Conservation Outpost Plus. One of the aquariums main attractions is Dolphin Harbor, where visitors will have the intimate and unique opportunity of swimming with dolphins. 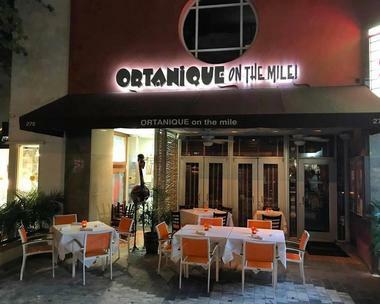 Named after a tropical citrus fruit, Ortanique on the Mile is a sensational Caribbean restaurant that is located in Coral Gables, Florida. The restaurant offers a beachy, yet elegant dining atmosphere. The interior features yellow painted walls with mahogany wood bases, checkered tile floors, orange vine murals on pillars and around the ceiling, a full-service bar, and a couple of flat-screen TVs. 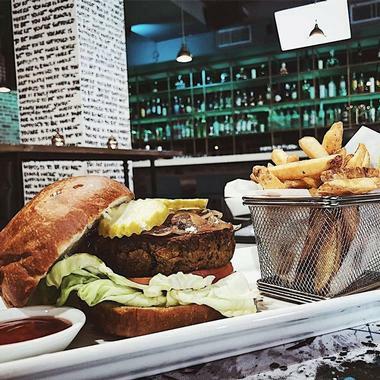 Diners will appreciate the fresh, colorful flavors, relaxing ambiance, friendly staff, and exceptional service. Some of the restaurant’s signature dishes with creative Caribbean flavors include grilled tuna with mango and papaya salad, snapper ceviche, conch fritters, jerk chicken penne, and a pumpkin bisque with a tasty pepper sherry sauce. Pinecrest Gardens is a 20-acre, tropical paradise of a park that is situated off of Red Road in Pinecrest, Florida. The park’s property was originally used for Parrot Jungle, a popular theme park that got its start in 1936. Pinecrest conserves, cultivates, and celebrates South Florida’s vibrant botanical heritage. The park has over 1,000 different varieties of exotic and rare palm trees and tropical plants within a cypress and native tropical hardwood setting. Visitors can spend an unforgettable day exploring the beautiful botanical gardens, enjoy a picnic, take a class, workshop or guided tour; browse the art gallery, see a movie, or attend a fun festival. Santa’s Enchanted Forest is a holiday attraction that is situated within a sprawling park in Olympia Heights, Miami, Florida. The attraction is open to the public from October to January every year and features a petting zoo, Christmas displays, food, holiday music, and much more. 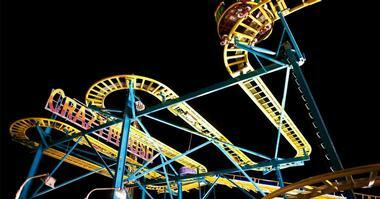 There are a large variety of rides for visitors of all ages to enjoy, such as the Wacky Worm Coaster, Wacky Shack Fun House, Rock and Roll Fun House, Pirate Ship Fun House, Haunted Mansion, Merry Go Round, Daytona Race Cars, and the Christmas Train. Some of the attractions include Christmas Karaoke, Mistletoe Lane, the Christmas Light Show Spectacular, and South Florida’s Tallest Christmas Tree. The dream of Daniel Charles Joseph Benoudiz, Small Tea is a chic and unique teahouse that is located in Coral Gables, Florida. The teahouse delivers a cultural mash-up of Florida and Portland, Oregon, aesthetic. Daniel assembled a team of strategists, interior and graphic designers, and writers, from all over the country to help see his vision through. The interior features a variety of intricate wood detailing, chic seating arrangements, unique light fixtures, and a beautiful tea bar. Visitors should try the Burrata and Roasted Tomato Sandwich – prepared with roasted tomato, fresh Burrata cheese, and basil-oregano pesto (chicken can be added for an additional charge). The Barnacle Historic State Park is a picturesque park that is situated along the shores of Biscayne Bay in Miami, Florida. This historic state park was once the home of the popular Ralph Middleton Munroe, one of the most influential and charming pioneers in Coconut Grove. There are two complete replicas of his boats on display; the Egret, an 1886 sharpie ketch vessel measuring 28 feet in length, and the Flying Proa, a vessel designed in 1898. Visitors can enjoy a tour with old friends or new, have a nice picnic on the park’s lawn, relax in a rocking chair on the front porch as sailboats glide by, or go for a lovely stroll along the tree-lined paths. The Kampong, National Tropical Botanical Garden is a gorgeous 9-acre botanical garden that is situated within the Coconut Grove neighborhood of Miami, Florida. This garden is one of five gardens that are part of a non-profit organization called the National Tropical Botanical Garden. The garden contains a fascinating variety of tropical fruit flowering trees and cultivars for visitors to explore. Some of the exotic fruits found here include over 50 different varieties of mango, cocoplums, egg fruit, peanut butter fruit, and candle fruit. The garden also contains numerous species of flowering trees, cycads, and palms that scientists study from all over the world. Visitors can enjoy guided and self-guided tours of the gardens all throughout the year. 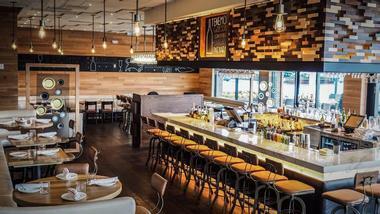 Titanic Brewing is a long-standing brewpub and New American restaurant near the University of Miami in Coral Gables, Florida. With Miami being the ‘cruise capital’ of the United States, owner Kevin Rusk wanted to keep the name of his restaurant and brewery in line with the cruising industry theme. Titanic Brewing Company is the combination of three unique, yet complimentary elements that include a place to showcase live entertainment, a seafood restaurant, and a microbrewery. The Shipbuilders Oatmeal Stout, Britannic Best Bitter, and Boiler Room Nut Brown Ale are just a few of the brewery’s sensational craft beer selections. 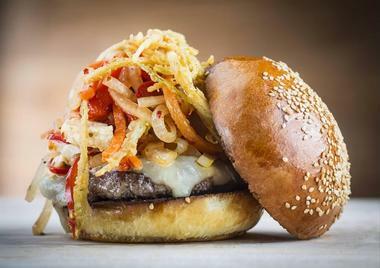 Diner’s love the BBQ Pulled Pork – served with coleslaw and pickles on brioche. The Tropical Audubon Society has a mission of conserving and restoring South Florida’s ecosystems, putting an emphasis on birds and other wildlife in their natural habitats. They aim to protect the environment, indigenous species, and native plants by promoting intelligent stewardship of natural and habitat resources. Visitors will have the chance to explore the Doc Thomas House – an old property listed on the National Register of Historic Places; as well as the Steinberg Nature Center. 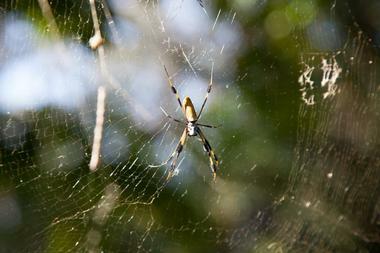 Visitors will find the Tropical Audubon Society near Miami’s bustling south downtown area. The 2.2 acres of lush landscape consists of hardwood hammock habitats and pine rockland. Tropical Park is a large 275-acre urban park that is located within the metropolitan area of Miami, Florida. The park is situated southwest of the bustling intersection of Bird Road and the Palmetto Expressway. The park was developed on a site that was formerly a horse racing track back in 1979. The park’s miles and miles of smoothly paved pathways are a perfect place for visitors to enjoy some outdoor recreation, such as running, walking, and bicycling. The park also provides several programs for visitors to try out and join, including Jazzercise at Tropical Park, Optimist Club of Westchester, Tropical Park Boxing, and Baseball Camp at Tropical Park. The Venetian Pool is a large, historic, United States public swimming pool that is located in Coral Gables, Florida. The pool was designed and constructed by Phineas Paist, along with Denman Fink. The Venetian Pool is a beautiful aquatic facility that is unlike any other found in the country, where thousands of visitors from all over the world come to experience its shimmering waters, lush vegetation, and impressive rock grottos each year. Visitors will also appreciate the pool’s two waterfalls, porticos, loggias, signature bridge, and plethora of palm trees. The pool is filled with 820,000 gallons of spring water from a large, underground aquifer; during the summer and spring months, the pool is drained and filled daily. 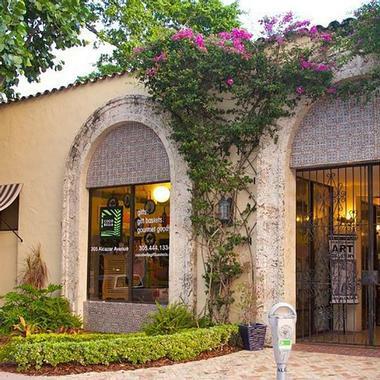 Coco Bella Gift & Home is a charming gift shop that is situated just around the corner from the Coral Gables Museum in Miami, Florida. The shop carries a wide array of home décor items and gifts. Some of the products include 10-ounce cookie jars, coffee mugs, family picture frames, wine tumbler sets, bistro cream sugar sets, bride sequin totes, cheese serving board sets, and custom stainless steel bottles. Visitors to the store will be met by a friendly and welcoming staff that has a wealth of knowledge, passion, and appreciation for each piece in the store. It’s the perfect place to grab a gift for a family-member or friend, or to simply splurge on one’s self.